Paleo, gluten-free, low-carb blogger Carol Lovett and professional chef and health blogger Camille Macres join our co-hosts Dietitian Cassie and Jimmy Moore today in Episode 90 of "Low-Carb Conversations With Jimmy Moore & Friends!" It just feels right having this show back on the air again over the past few weeks dissecting all the latest health headlines out there in the mainstream world to see what kind of messages they are communicating with an unsuspecting public. Yes, we are the great exception to the rule when it comes to reading through the typical editorializing that goes on even in the midst of reporting on scientific studies on diet and health. Make no mistake about it, conventional wisdom on these subjects still rules the day--but we're getting closer and closer to making the messages we communicate on this podcast a part of the debate of ideas...and that's exciting stuff! 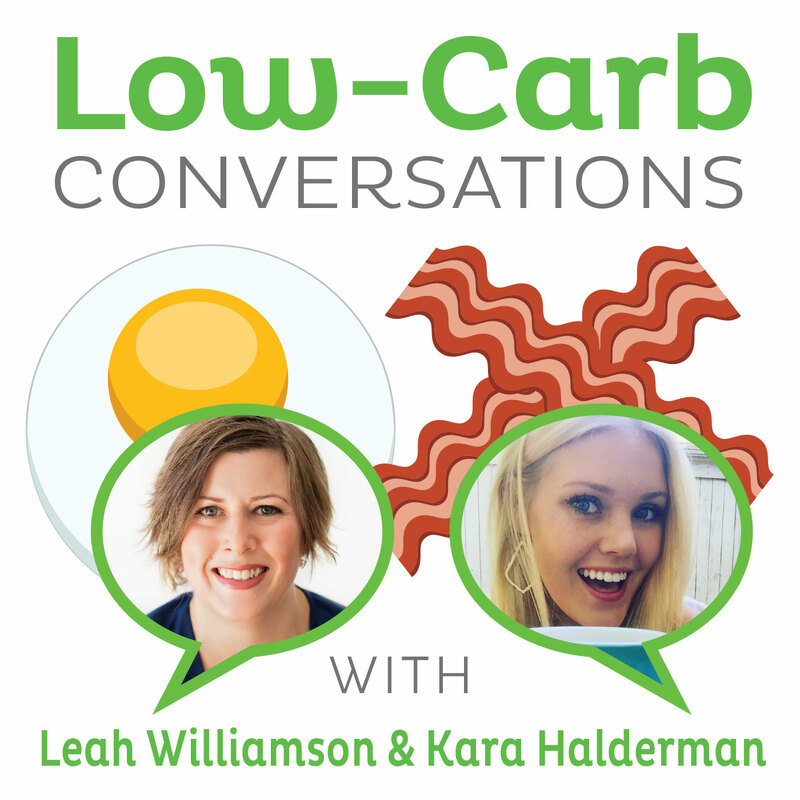 We need podcasts like "Low-Carb Conversations" to solidify in the minds of listeners what to think about these critical issues that are important to attaining a healthy lifestyle so that they can keep sharing this alternative information to the people within their circle of friends and family who need to hear it the most. No matter how much you know and believe in the concepts of healthy low-carb, Paleo living, it's nice to have a place of solace, encouragement and reinforcement to help you in this journey. If you'd like to see that continue, then won't you consider making a donation to help us continue to provide a weekly critical look at the health headlines that dominate our modern-day culture. We've been incredibly grateful for the support that so many of you have given us in the past couple of months, but we have tens of thousands more listeners who could help us keep going strong in the months and years to come if most of you shared a very modest donation as little as $5 to carry on. If you like the show and want to keep hearing more of it, isn't it worth a small seed of investment now to reap big dividends in changed lives down the road? 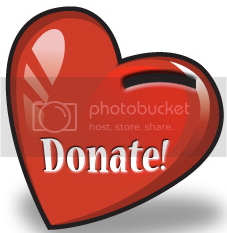 CLICK HERE if you want to help us make that dream a reality. THANK YOU FOR YOU SUPPORT! Jimmy and Dietitian Cassie are thrilled to welcome in a dynamic couple of beautiful peeps to join them in the studio today (it's "Jimmy and the babes"! ), including Paleo, gluten-free, low-carb blogger Carol Lovett from the "Ditch The Wheat" blog (author of the Paleo-friendly e-cookbook Indulge: 70 Grain-Free Desserts) as well as professional chef and health blogger Camille Macres from the "Recipe Rx" blog (author of the creatively-titled Paleogasm: 150 Grain, Dairy and Sugar-free Recipes That Will Leave You Totally Satisfied and Begging for More). Listen in as they take on some fascinating health topics, including the sudden rise in Type 2 diabetes that has hit 114 million people in the (rice-loving!) country of China, a confused health advocacy specialist on the subject of carbohydrates, a critical blog post of Paleo, low-carb and primal living with specific digs at Mark Sisson and several others from the ancestral community, a recent paper published in the Journal of the American Medical Association that calls for an end to the diet debates (wishful thinking! ), a mainstream column knocking the health halo off of smoothies and fruit juice (FINALLY! ), the absurdity of the cholesterol-lowering food products that are marketed to consumers these days, and so much more! This is a fun episode today that we KNOW you're gonna love, so pull up a chair, grab a cup of coffee and let's talk! - The Asian Paradox: End of the Line for Low Carb Diets? - Can sugary cereal and a chocolate drink REALLY lower your cholesterol? BLAT, if you’re not familiar, stands for BACON-LETTUCE-AVOCADO-TOMATO, and is typically an upgrade to the famous BLT sandwich. Here’s my take using eggs, glorious eggs! This is the best low-carb breakfast on the block. Heat a 9-10 inch skillet on medium-high heat. Add about a teaspoon of butter. Whisk eggs in a medium bowl. Add half of the eggs to the hot pan and sprinkle with green onion, salt, and pepper. Turn to low and cover, allowing the steam to cook the top of the egg. You can get crazy and try to flip it, but you risk breaking it. 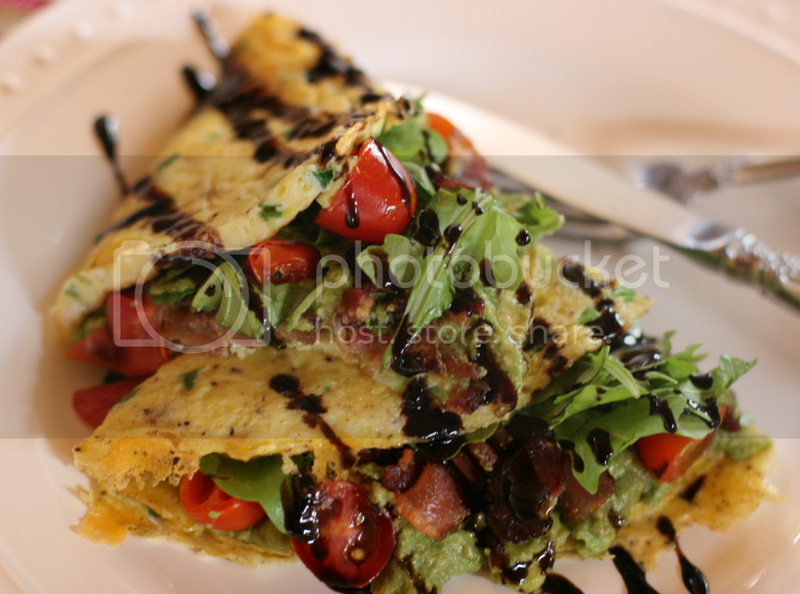 Toss avocado, tomatoes, and arugula with lemon and seasoned salt. When top cooked, remove from pan and add bacon, and salad. Fold over, slice in half, drizzle with balsamic glaze and serve with a dollop of aioli.